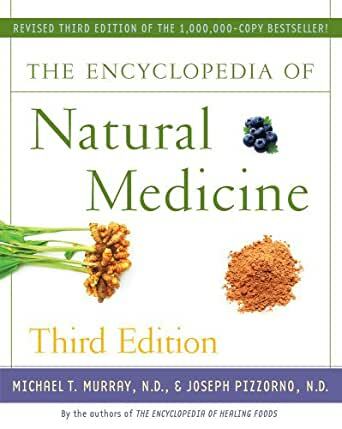 The Encyclopedia of Natural Medicine Third Edition - Kindle edition by Michael T. Murray, Joseph Pizzorno. Health, Fitness & Dieting Kindle eBooks @ Amazon.com. A cancer-related checkup is recommended every 3 years for people aged 20 to 40 and every year for people aged 40 or older. This exam should include health counseling and, depending on a person’s age and gender, might include examinations for cancers of the thyroid, oral cavity, skin, lymph nodes, testes, or ovaries, as well as for some nonmalignant diseases. A high dietary intake of vitamin C has been shown to significantly reduce the risk of death from heart attacks and strokes, as well as all other causes including cancer. Many clinical and experimental studies have clearly demonstrated that stress, personality, attitude, and emotion are etiologic or contributory in suppressing the immune system as well as leading to the development of many diverse diseases. Regular exercise has been demonstrated to provide benefit to individuals with immunodeficiency diseases, particularly through stress alleviation and mood enhancement. HIV-positive individuals had increases in CD4, CD8, and natural killer (NK) cells immediately following aerobic exercise. Melatonin exerts significant anticancer effects, especially against breast cancer. Vitamin E not only improves insulin action, it also exerts a number of beneficial effects when taken at dosages ranging from 400 to 800 IU, which may aid in preventing the long-term complications of diabetes. Find out all of this and more in The Encyclopedia of Natural Medicine! An evolution in the core principles of health care has been occurring over the last few decades. At the forefront of this change is naturopathic medicine—a system of medicine based on the belief that the human body has a remarkable innate healing ability. Naturopathic doctors (N.D.’s) view the patient as a complex, interrelated system—a whole person—and focus on promoting health through natural, nontoxic therapies such as nutrition, lifestyle modification, herbal remedies, psychological measures, and many others. Naturopathic medicine is helping to usher in the emerging paradigm in medicine. A paradigm is a model used to explain events. As our understanding of the environment and the human body evolves, new paradigms are developed. For example, in physics the cause-and-effect views of Descartes and Newton were replaced by Einstein’s theory of relativity, quantum mechanics, and approaches in theoretical physics that take into considerations the tremendous interconnectedness of the universe. The new paradigm in medicine also focuses on the interconnectedness of body, mind, emotions, social factors, and the environment. While the old paradigm viewed the body basically as a machine that can be fixed best with drugs and surgery, the emerging new model considers these measures secondary to natural, noninvasive techniques that promote health by supporting the body’s own healing processes. The relationship between the physician and patient is also evolving. The era of the physician as a demigod is over. The era of self-empowerment is beginning. Naturopathy (the word means “nature cure”) is a method of healing that employs various natural means to empower an individual to achieve the highest level of health possible. Despite its philosophical links to many cultures, modern naturopathic medicine grew out of natural healing systems in 18th- and 19th-century Europe and the United States. The European tradition of “taking the cure” at natural springs or spas had gained a foothold in America by the middle of the 18th century. The custom helped make Germany and the United States especially receptive to the ideas of naturopathy. Among the movement’s earliest promoters were Sebastian Kneipp, a priest who credited his recovery from tuberculosis to bathing in the Danube; and Benedict Lust, a physician who trained at the water-cure clinic that Kneipp had founded in Europe. Lust arrived in the United States in the 1890s and began using the term naturopathy to describe an eclectic compilation of doctrines of natural healing. The natural system for curing disease is based on a return to nature in regulating the diet, breathing, exercising, bathing and the employment of various forces to eliminate the poisonous products in the system, and so raise the vitality of the patient to a proper standard of health. . . .
1. ELIMINATION OF EVIL HABITS, or the weeds of life, such as over-eating, alcoholic drinks, drugs, the use of tea, coffee and cocoa that contain poisons, meat eating, improper hours of living, waste of vital forces, lowered vitality, sexual and social aberrations, worry, etc. 3. NEW PRINCIPLES OF LIVING. Proper fasting, selection of food, hydropathy, light and air baths, mud baths, osteopathy, chiropractic and other forms of mechano-therapy, mineral salts obtained in organic from, electropathy, heliopathy, steam or Turkish baths, sitz baths, etc. . . . There is really but one healing force in existence and that is Nature herself, which means the inherent restorative power of the organism to overcome disease. Now the question is, can this power be appropriated and guided more readily by extrinsic or intrinsic methods? 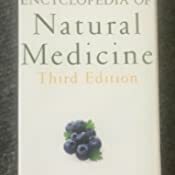 That is to say, is it more amenable to combat disease by irritating drugs, vaccines and serums employed by superstitious moderns, or by the bland intrinsic congenial forces of Natural Therapeutics, that are employed by this new school of medicine, that is Naturopathy, which is the only orthodox school of medicine? Are not these natural forces much more orthodox than the artificial resources of the druggist? The practical application of these natural agencies, duly suited to the individual case, are true signs that the art of healing has been elaborated by the aid of absolutely harmless, congenial treatments. The early naturopaths, including Lust, attached great importance to a natural, healthful diet. So did many of their contemporaries. John Kellogg, a physician, Seventh-day Adventist, and vegetarian, ran the Battle Creek Sanitarium, which utilized natural therapies; his brother, Will, built and ran a factory in Battle Creek, Michigan, to produce health foods such as shredded wheat and granola biscuits. Driven both by personal convictions about the benefits of cereal fibers and by commercial interests, the Kellogg brothers, along with a former employee, C. W. Post, helped popularize naturopathic ideas about food. Naturopathy has experienced a tremendous resurgence since the mid-1970s when the profession was nearly extinct. This resurgence is largely related to increased public awareness about the role of diet and lifestyle in chronic diseases and the failure of modern medicine to deal effectively with these disorders. In addition, the 1978 founding of Bastyr University, with its focus on teaching science-based natural medicine and its landmark achievement of accreditation, played a major role. Principle 1: The healing power of nature (vis medicatrix naturae). Naturopathic physicians believe that the body has considerable power to heal itself. It is the role of the physician to facilitate and enhance this process with the aid of natural nontoxic therapies. Principle 2: Identify and treat the cause (tolle causam). The naturopathic physician is trained to seek the underlying causes of a disease rather than simply suppress the symptoms, which are viewed as expressions of the body’s attempt to heal. The causes of disease can arise at the physical, mental-emotional, and spiritual levels. Principle 3: First, do no harm (primum non nocere). The naturopathic physician seeks to do no harm with medical treatment by employing safe and effective natural therapies. Principle 4: Treat the whole person (holism). Naturopathic physicians are trained to view an individual as a whole, a complex interaction of physical, mental-emotional, spiritual, social, and other factors. Principle 5: The physician as teacher (docere). 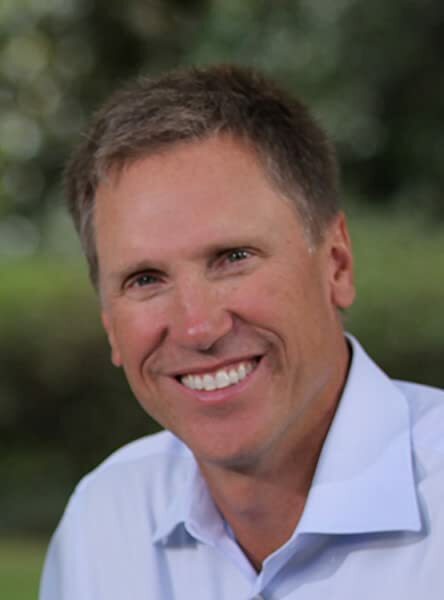 The naturopathic physician is foremost a teacher, educating, empowering, and motivating the patients to assume more personal responsibility for their health by adopting a healthful attitude, lifestyle, and diet. Principle 6: Prevention is the best cure. Naturopathic physicians are specialists in preventive medicine. Prevention of disease and support of health are accomplished through education and life habits. Principle 7: Establishing health and wellness. Establishing and maintaining optimal health and promoting wellness are the primary goals of the naturopathic physician. While health is defined as the state of optimal physical, mental, emotional, and spiritual well-being, wellness is defined as a state of health characterized by a positive emotional state. The naturopathic physician strives to increase the level of wellness regardless of the disease or level of health. Even in cases of severe disease, a high level of wellness can often be achieved. Naturopathic physicians’ primary focus is on promoting health and preventing disease. In addition to providing recommendations on lifestyle, diet, and exercise, naturopathic physicians may elect to utilize a variety of therapeutic modalities to promote health. Some naturopathic physicians choose to emphasize a particular therapeutic modality, while others are more eclectic and utilize a number of modalities; some naturopaths elect to focus on particular medical fields such as pediatrics, natural childbirth, physical medicine, and so on. Naturopathic medicine is inclusive, in that it incorporates a variety of healing techniques. The current treatments naturopathic physicians are trained in include clinical nutrition, botanical medicine, homeopathy, Oriental medicine and acupuncture, hydrotherapy, physical medicine including massage and therapeutic manipulation, counseling and other psychotherapies, and minor surgery. In addition, in many states licensed naturopathic physicians can prescribe pharmaceutical drugs. Clinical nutrition, or the use of diet as a therapy, serves as the foundation of naturopathic medicine. There is an ever-increasing body of knowledge that supports the use of whole foods and nutritional supplements in the maintenance of health and treatment of disease. Plants have been used as medicines since antiquity. Naturopathic physicians are professionally trained in herbal medicine and know both the historical uses of plants and modern pharmacological mechanisms. The term homeopathy is derived from the Greek words homeo, meaning “similar,” and pathos, meaning “disease.” Homeopathy is a system of medicine that treats a disease with a dilute, potentized agent, or drug, that will produce the same symptoms as the disease when given to a healthy individual, the fundamental principle being that like cures like. Homeopathic medicines are derived from a variety of plant, mineral, and chemical substances. Traditional Chinese medicine and acupuncture are part of an ancient system of medicine involving techniques used to enhance the flow of vital energy (chi). Acupuncture involves the stimulation of certain specific points on the body along chi pathways called meridians. Acupuncture points can be stimulated by the insertion and withdrawing of needles, by the application of heat (moxibustion), by massage, by the application of laser light or electrical current, or by a combination of these methods. Hydrotherapy may be defined as the use of water in any of its forms (hot, cold, ice, steam, etc.) and methods of application (sitz bath, douche, spa or hot tub, whirlpool, sauna, shower, immersion bath, pack, poultice, foot-bath, fomentation, wrap, colonic irrigation, etc.) in the maintenance of health or treatment of disease. It is one of the ancient methods of treatment. Hydrotherapy has been used by many different peoples, including the Egyptians, Assyrians, Persians, Greeks, Hebrews, Hindus, and Chinese. Physical medicine refers to the use of physical measures in the treatment of an individual. This includes the use of physiotherapy equipment such as ultrasound, diathermy, and other electromagnetic energy agents; therapeutic exercise; massage; joint mobilization (manipulative) and immobilization techniques; and hydrotherapy. 2. Recognition and understanding of prevalent psychological issues, including developmental problems, abnormal behavior, addictions, stress, problematic sexuality, etc. The modern naturopathic physician provides all phases of primary health care. That is, naturopathic physicians are trained to be the doctor first seen by the patient for general (nonemergency) health care. Clinical assessment generally follows the conventional medical model, with a medical history, physical exam, laboratory evaluation, and other well-accepted diagnostic procedures, but the clinical assessment may be influenced by nonconventional diagnostic techniques such as tests for nutrient deficiencies, toxin load, and physiological function. A typical first office visit with a naturopathic doctor often takes one hour. Since naturopathic physicians consider one of their primary goals to be teaching the patient how to live healthfully, the time devoted to discussing and explaining principles of health maintenance and medical aspects is one of the aspects that set naturopaths apart from many other health care providers. The patient-physician relationship begins with a thorough medical history and interview process designed to explore all aspects of a patient’s lifestyle. The physician will perform standard diagnostic procedures if these are needed, including physical exam and blood and urine analysis. Once a good understanding of the patient’s health and disease status is established (making a diagnosis of a disease is only one part of this process), the doctor and patient work together to establish a treatment and health-promotion program. Because many naturopathic physicians function as primary health care providers, standard medical monitoring, follow-up, and exams are critical to good patient care. Patients are encouraged to receive regular yearly checkups, including a full physical. When therapies are used, outcomes are assessed using conventional tools (e.g., patient interview, physical exam, laboratory tests, radiological imaging, etc.). You may be asking how naturopathic physicians view health differently from conventional medical doctors. First of all, by definition and philosophy most conventional medical doctors practice allopathic medicine. Allopathy refers to conventional medicine as practiced by a graduate of a medical school or college granting the degree of doctor of medicine (M.D.). It is a system of medicine that focuses primarily on treating disease rather than on promoting health. The fundamental difference between naturopathy and allopathy is that the allopathic physician tends to view good health primarily as a physical state in which there is no obvious disease present. In contrast, naturopathic physicians recognize true health as the state of optimal physical, mental, emotional, and spiritual well-being. The key difference between naturopathic and allopathic physicians is apparent if we look at how each type of doctor views not only health but also disease. To illustrate the differences, let’s take a look at how each views and addresses the “infection equation.” The infection equation is like a mathematical equation, such as 1 + 2 = 3. In the infection equation, what determines the outcome is the interaction of the host’s immune system with the infecting organism. A naturopathic doctor tends to use treatments designed to enhance the immune system, while most conventional doctors tend to use treatments designed to kill the invading organism. Conventional medicine has been obsessed with infective agents rather than host defense factors. This obsession really began with Louis Pasteur, the 19th-century physician and researcher who played a major role in the development of the germ theory. This theory holds that different diseases are caused by different infectious organisms, with the patient as a passive victim. Much of Pasteur’s life was dedicated to finding substances that would kill the infecting organisms. Pasteur and others since him who pioneered effective treatments of infectious diseases have given us a great deal, for which we all should be thankful. However, there is more to the infection equation. Another 19th-century French scientist, Claude Bernard, also made major contributions to medical understanding. Bernard, however, had a different view of health and disease. Bernard believed that the state of a person’s internal environment was more important in determining disease than the pathogen itself. In other words, Bernard believed that the person’s internal “terrain,” or susceptibility to infection, was more important than the germ. Physicians, he believed, should focus more attention on making this internal terrain a very inhospitable place for disease to flourish. Bernard’s theory led to some rather interesting studies. In fact, a firm advocate of the germ theory would find some of these studies to be absolutely crazy. One of the most interesting studies was conducted by a Russian scientist named Élie Metchnikoff, the discover of white blood cells. He and his research associates consumed cultures containing millions of cholera bacteria, yet none of them developed cholera. The reason: their immune systems were not compromised. Metchnikoff believed, like Bernard, that the correct way to deal with infectious disease was to focus on enhancing the body’s own defenses. Now, we want to make it very clear that advances in conventional medicine can produce lifesaving results when used appropriately. There is little argument, for example, that when used appropriately, antibiotics save lives. However, there is also little argument that antibiotics are grossly overprescribed. While the appropriate use of antibiotics makes good medical sense, what does not make sense is the reliance on antibiotics for such conditions as acne, recurrent bladder infections, chronic ear infections, chronic sinusitis, chronic bronchitis, and nonbacterial sore throats. The antibiotics rarely provide a substantial benefit, and these conditions are effectively treated with natural measures. Since there is evidence that resistance to antibiotics is less of a problem when these medications are used sparingly, a reduction in antibiotic prescriptions may be the only significant way to address the problem. The consensus of medical experts as well as the World Health Organization is that antibiotic use must be restricted and inappropriate use halted if the growing trend toward bacterial resistance to antibiotics is to be halted and reversed. Our interpretation of this challenge is that it is going to force conventional medical thinkers to take a closer look at ways to enhance resistance against infection. Our belief is that as they do so they will discover the healing power of nature. There is an ever-increasing body of knowledge that supports the use of whole foods, nutritional supplements, and a healthful lifestyle and attitude in enhancing resistance to infection. For example, children deficient in any of a large number of nutrients, such as vitamin A, vitamin C, and zinc, are far more susceptible to a wide range of infectious agents. While in the short term antibiotics may be critically important, in the long run they do nothing to improve an impaired immune system, so infections continue to recur. In addition to promoting good health, natural medicines such as herbal products and nutritional supplements are often used as direct substitutes for conventional drugs. However, an important distinction must be made: in most cases the use of these natural medicines involves promoting the healing process rather than suppressing symptoms. To illustrate this point, let’s look at osteoarthritis (the most common form of arthritis) and consider the natural approach vs. the drug approach. Osteoarthritis is characterized by a breakdown of cartilage. Cartilage serves an important role in joint function. Its gel-like nature provides protection to the ends of joints by acting as a shock absorber. Degeneration of the cartilage is the hallmark feature of osteoarthritis. This degeneration causes inflammation, pain, deformity, and limitation of motion in the joint. Ultimately, naturopathic medicine may prove most useful in the prevention of disease. Naturopathic physicians are trained to spend considerable time and effort in teaching patients the importance of adhering to a health-promoting lifestyle, diet, and attitude. True primary prevention involves addressing a patient’s risk for disease (especially for heart disease, cancer, stroke, diabetes, and osteoporosis) and instituting a course of action designed to reduce controllable risk factors. There is a tremendous need for naturopathic medicine to become the dominant method of medicine in practice. Each year in the United States we spend more than $2 trillion on health care—or, more accurately, we are spending the majority of these dollars on “disease care.” Health care costs now consume 17% of the gross national product (GNP), with the percentage of GNP spent on health care continuing to increase at twice the rate of inflation. We cannot afford to continue to go in this direction. Wellness-oriented medicine, such as naturopathic medicine, provides a practical solution to escalating health care costs and poor health status. Equally important is that this orientation can increase patient satisfaction. Studies have observed that patients utilizing the natural-medicine/health-promotion approach are more satisfied with the results of their treatment than they are with the results of conventional treatments like drugs and surgeries. A few studies have directly compared the satisfaction of patients using natural medicine with that of patients using conventional medicine. The largest study was done in the Netherlands, where natural medicine practitioners are an integral part of the health care system.24 This extensive study compared satisfaction in 3,782 patients seeing either a conventional physician or a complementary practitioner. The patients seeing the natural medicine practitioner reported better results for almost every condition. Of particular interest was the observation that the patients seeing a complementary practitioner were somewhat sicker at the start of therapy, and that in only 4 of the 23 conditions did the conventional medical patients report better results. Why Is There a Bias Against Natural Medicine on the Part of Medical Doctors? The simple answer to this important question is that many doctors are simply not educated in the value of nutrition and other natural therapies. In fact, most were told during their education that alternative medicines are worthless. Many doctors are not aware of, or choose to ignore, data on beneficial natural therapies such as diet, exercise, and dietary supplements, even if the data are overwhelmingly positive. Rather than admit they don’t know whether natural therapies might be valid, most doctors have a knee-jerk reaction that such treatments can’t be helpful. They often suffer from what we refer to as the “tomato effect,” alluding to the widely held belief in North America in the 18th century that tomatoes were poisonous, even though they were a dietary staple in Europe. It wasn’t until 1820, when Robert Gibbon Johnson ate a tomato on the courthouse steps in Salem, Indiana, that the “poisonous tomato” barrier was broken in the minds of many Americans. In medicine, many physicians have an attitude regarding alternative therapies that is quite similar to this “tomato effect.” For example, though diet is a critical foundation of health, when patients ask their doctor about dietary therapy or a nutritional supplement for a particular condition, even if the nutritional approach has considerable support in the scientific literature that proves its safety and effectiveness, most doctors will caution patients against going the natural route or tell them that while it won’t hurt them, it won’t help them either. The truth is that in many cases, the doctor just doesn’t know anything about it. Keep in mind that it took the medical community more than 40 years to accept the link between low folic acid levels during pregnancy and crippling birth defects of the spinal cord (neural tube defects such as spina bifida). It is estimated that 70 to 85% of the more than 100,000 children born with neural tube defects during that time could have been born healthy if doctors had not been so biased against scientific data on nutritional supplements.25 The good news is that in the two decades since the publication of the first edition of this book, the medical community has become more receptive to natural therapies. Unfortunately, its political organizations continue to work at the local, state, and federal levels to prevent licensing of naturopaths, insurance equality, and critical research. A licensed naturopathic physician (N.D.) attends an accredited four-year graduate-level naturopathic medical school. Admission requirements are similar to those required for conventional medical school. Specifically, applicants must have a bachelor’s degree or a higher degree from an accredited college or university, and must have taken courses in general chemistry, organic chemistry, physics, algebra, general biology, psychology, and English composition. The curriculum is divided into two primary categories, academic and clinical. The first academic year is primarily composed of the study of the normal structure and function of the body (anatomy, physiology, biochemistry, histology, embryology, etc.). The second year focuses on the pathological transitions to disease, along with clinical recognition of these processes using physical, clinical, radiological, and laboratory diagnostics. The third and fourth academic years focus on conventional and naturopathic perspectives in clinical diagnostics for pediatrics, gynecology, obstetrics, dermatology, neurology, endocrinology, cardiology, gastroenterology, and geriatrics. During the third and fourth years there is also a focus on naturopathic therapies. Students are required to take core classes (usually two or three quarters) in botanical medicine, homeopathy, counseling, diet, therapeutic nutrition, and physical medicine. Students are then able to choose which modality to focus on in elective advanced courses or may choose courses in other areas such as acupuncture and ayurvedic medicine to meet elective requirements. The clinical curriculum begins first with students assisting in patient care and/or in the pharmacy and laboratory. Although no naturopathic medical school currently has inpatient facilities, all schools have extensive clinical facilities where students work under the direction of supervising naturopathic physicians and conduct complete patient evaluation, treatment, and monitoring, and perform other aspects of patient care. Students are also required to observe or work under the direction of licensed primary care physicians. Currently, 16 states, the District of Columbia, and the United States territories of Puerto Rico and the United States Virgin Islands have licensing laws for naturopathic doctors. In these states, naturopathic doctors are required to graduate from an accredited four-year residential naturopathic medical school and pass an extensive postdoctoral board examination (NPLEX) in order to receive a license. Legal provisions allow the practice of naturopathic medicine in several other states, and efforts to gain licensure elsewhere are currently under way. Naturopathic physicians are also recognized throughout all provinces in Canada. To some, naturopathic medicine, as well as the entire concept of natural medicine, appears to be a fad that will soon pass. However, when the subject is considered with an open mind, it is quite clear that naturopathic medicine is at the forefront of the future. It is obvious that an evolution is occurring in health care and that as a result more natural therapies are gaining acceptance even in mainstream medical circles. One of the pervasive myths about naturopathic medicine has been the belief there is no firm scientific evidence for the use of the natural therapies naturopathic physicians employ. 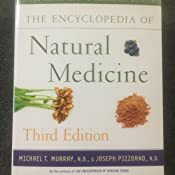 However, as this book attests, scientific studies and observations have upheld the validity not only of diet, nutritional supplements, and herbal medicines but also of some of the more esoteric natural healing treatments, including acupuncture, biofeedback, meditation, and homeopathy. In many instances, scientific investigation has not only validated the natural measure but also led to significant improvements and greater understanding. In the past 30 or so years there have been tremendous advances in the understanding of the ways in which many natural therapies and compounds work to promote health or treat disease. Even in mainstream medicine there is a growing trend toward using substances found in nature, including compounds naturally found in the human body such as interferon, interleukin, insulin, and human growth hormone, in place of synthetic drugs. 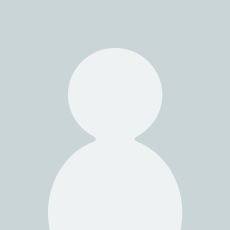 Add to this the growing popularity of nutritional supplements and herbal products and it is quite obvious that a trend is emerging toward natural medicine. Suffice it to say that it appears that the concepts and philosophy of naturopathic medicine will persist and be a major part of the medicine of the future. • Naturopathic medicine is a system of medicine that focuses on prevention and the use of nontoxic, natural therapies to treat and reverse disease. • Naturopathic medicine is built upon seven underlying principles. Principle 1: The healing power of nature (vis medicatrix naturae). Principle 2: Identify and treat the cause (tolle causam). Principle 3: First, do no harm (primum non nocere). Principle 4: Treat the whole person (holism). Principle 5: The physician as teacher (docere). Principle 7: Establishing health and wellness. • As health care costs skyrocket, there is a tremendous need for naturopathic medicine. I wish they listed the potential side effects and potential fatal overdoses that could be caused by their suggestions. 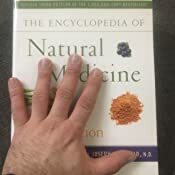 I was hoping to have a book to replace the need for internet research, but I still have to look everything up online to verify if it is safe to take and dosage recommendations. Unfortunately I had to do a bunch of comments and writing in the book because there was not enough important information listed. And some of their recommendations could cause severe complications. However, with my own work and research included, it is a good book to start off with. 5.0 out of 5 starsA Must Own Reference for the Entire Family. Filled with Remarkable Evidence Based, Scientifically Backed Cures that Work! This is one of those truly great references every household should have. I have used many of the solutions proposed in this reference with great results. I have also verified the ones I have used prior to using them with best medical institutions on the planet such as NIH. Johns Hopkins, etc. and they all check out. There is no voodoo or conjectures in this volume. These are time-tested and backed by scientific research/papers; solid evidence based science here. This book has paid itself off numerous times already. I had the second edition also. 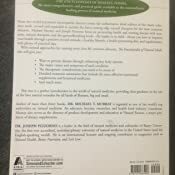 The third edition is updated with newer discoveries and supplements to treat many of the illnesses in the book. I have used many times and still use it whenever some illness comes up. I have used it to treat acid reflux, high blood pressure, stomach ulcers to name a few and every time it has worked wonders. It has helped me and those around me to improve health significantly. A must have if you are into natural healing and want to get away from big pharma. Easy to read and follow with lots of useful information for a lot of deseases plaguing society today. What a surprise! I bought this book because an article mentioned that it had a lot of information about RA. This is true. However, every other condition I've looked up has been explored as comprehensively. This is not a book written at 5th grade level. The authors explore and explain the research on whatever topic they are discussing. I do not agree with all of their conclusions, but the fact that their conclusions are evidence-based, thoroughly researched, and well explained is indisputable. Written with holistic, balanced approach. An extraordinary purchase. This book is enormous and has everything you can think of. Nature can heal us inside and out. Traditional medicines try to mimic natural medicines and the only reason we even have traditional medicines is so the pharmaceutical companies can patent them, because you cannot put a patent on anything in nature. This book is very informative. 4.0 out of 5 starsFANTASTICIO!!! This book is DANTASTIC for the newcomer or pro! It gives simple to understand basics for natural health remedies. It provides uses for essential oils, natural foods, and vitamins to use for all routine and nonroutine medical concerns and problems. It is easy to locate the i formation you are seeking. It provides the information in an easy to u derstand format. Im a beginner in this area and it has provided me a great resource to refer to in a way that is easy to understand. Im able to locate the information easily. I love it!!! I have used it to find if something is viral or not and then doesn't need antibiotics; which are way over used. I've used it find natural solutions for me and others that does work unlike most drugs that only mask the problem, are expensive and often cause dependency. I've learned the hard way doctors will not tell you natural options or refer you to someone who knows other options other than drugs. I was excited when I saw the new edition was out. I have owned an older edition for years. The authors are careful with their research.This book is packed with information for an amazingly low price.